Dark Pro has a JSliderNews and 4-column sections. 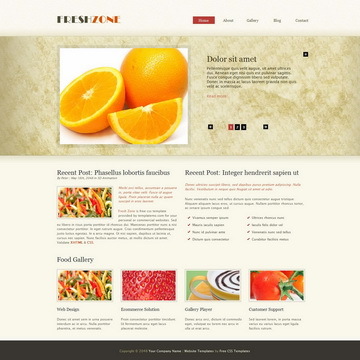 This is based on black menu with drop down sub-menus. 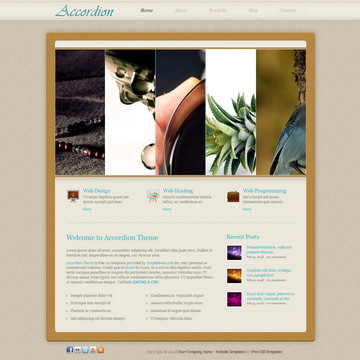 Background is a dark gray to black gradient diagonal grids. 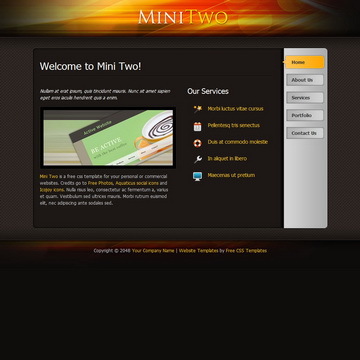 Contact page has a contact form and maps. 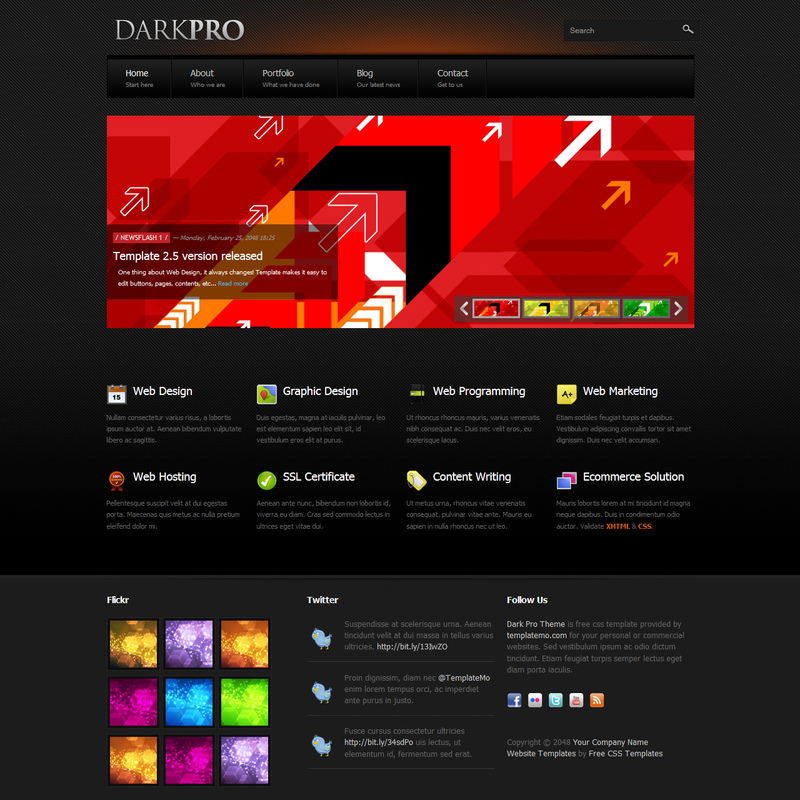 Dark Pro Template is licensed under Creative Commons. Permissions beyond the scope of this license is available here. 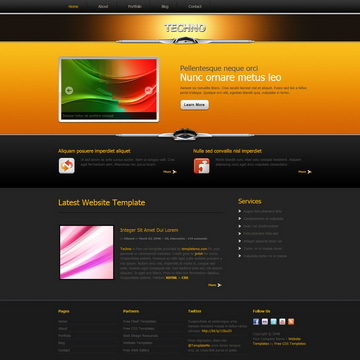 You are allowed to download, edit and use this Dark Pro HTML CSS layout for your commercial or non-commercial sites. Please share Dark Pro Template to your friends. Thank you.